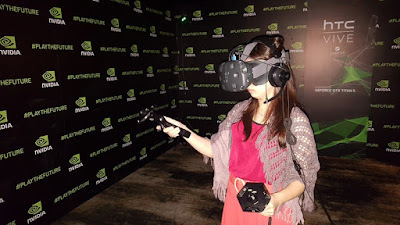 We had a sweet treat from NVIDIA at Singapore with the chance to try out the Oculus Rift & HTC Vive. 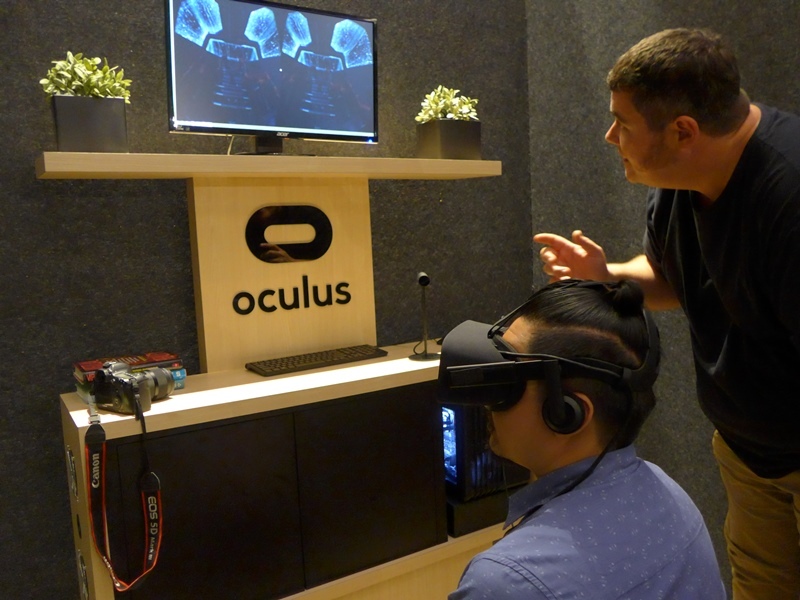 The expereince with the Oculus Rift was enjoyable and had the feeling as though one is actually there, just imagined panning around the protagonist by simply turning your head. The Oculus Rift is powered by NVIDIA GameWorks VR technologyand the best treat was of the HTC Vive the experience of sights and sounds vivid and lifelike enough to transport you to another place, another time—whole new realities with limitless possibilities. The HTC Vive added a very different expereince. Both the Oculus Rift & HTC Vive Demo is driven by NVIDIA GeForce TiTan X powered PC. Virtual Reality (VR) is poised to change the way we play and experience games by placing us in the games, directly in the action, with a full 3D world all around us. As your head moves your view changes and as you use special VR controllers in compatible games your avatar reaches out and naturally uses their hands to interact with objects. For VR to deliver that immersive experience a considerable amount of GPU processing power is required. Beside games VR technology has many enterprise applications. For example, the technology can be applied to the medical field where the user is trained in human autonomy by vicariously performing an autopsy on a VR cadaver. This VR application will circumvent the shortage of dead bodies that can be legally used for medical research. NVIDIA foresees a lot of potential in VR as a training and simulation platform for enterprise applications and professional uses. As disparate as it may sound, NVIDIA's ultimate vision for VR and PBR is very much grounded in reality and making a better tomorrow for everyone. NVIDIA GeForce GTX GPUs are designed for amazing VR experiences. 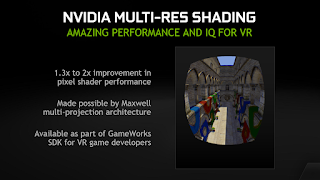 To help improve the VR experience, NVIDIA created “GameWorks VR” a software development kit (SDK) for VR headsets and game developers that improves performance, reduces latency, and improves compatibility. Game Works VR includes the following technologies, Multi-Res Shading, Context Priority, VR SLI, Direct Mode, Front Buffer Rendering & GeForce Expereince. 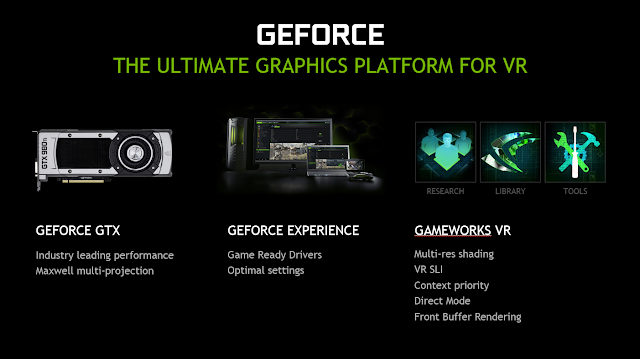 With GeForce Experience and Game Works VR, GeForce GTX delivers the ultimate graphics platform for Virtual Reality.